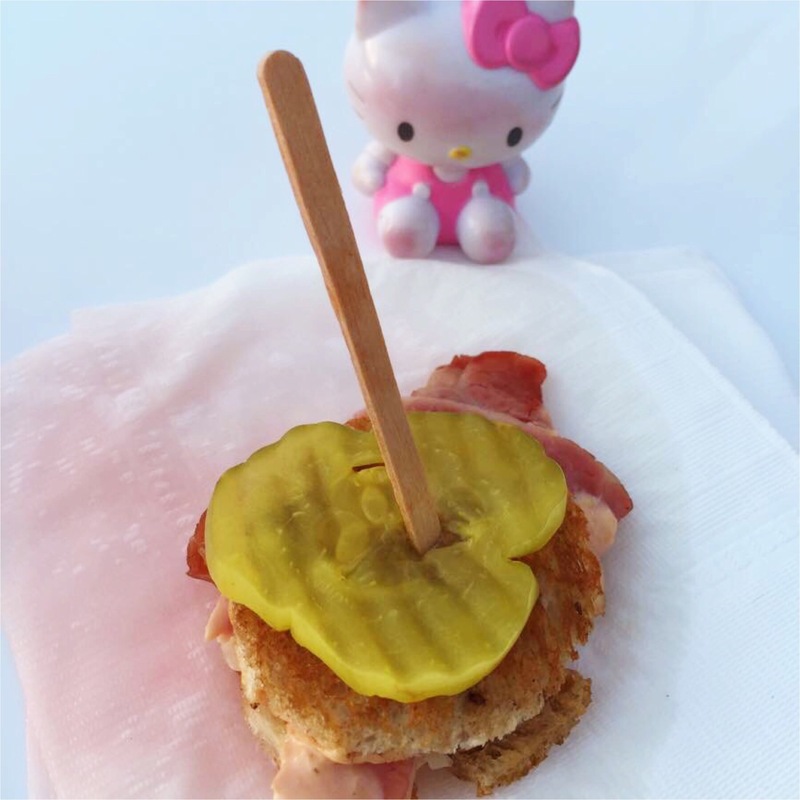 Hello Kitty Foodie at Hello Kitty Con! 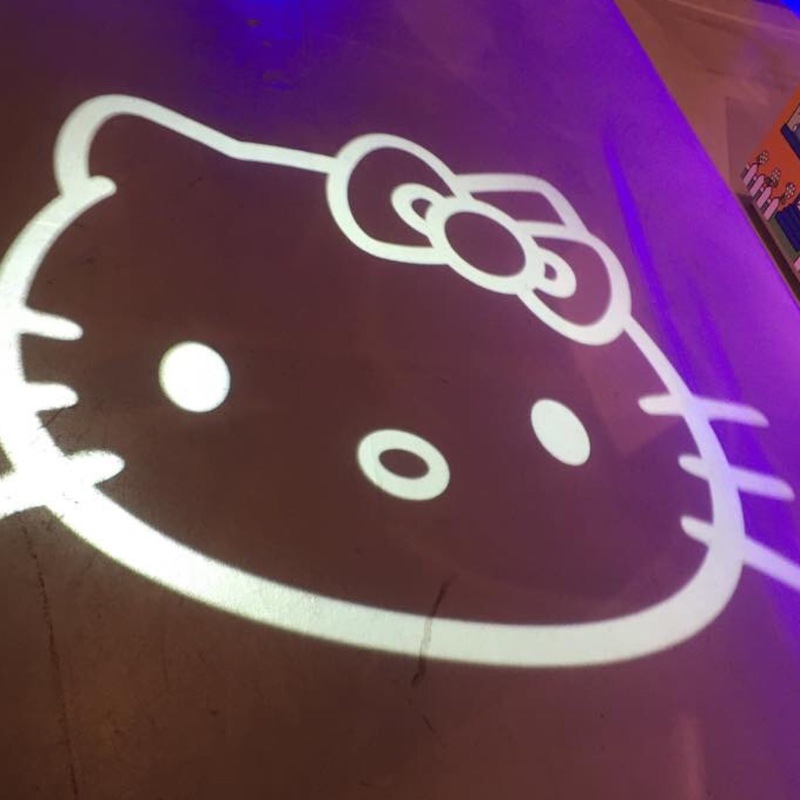 From the moment I stepped on the red carpet and into Hello Kitty Con, I was in Hello Kitty heaven. Everything was Hello Kitty! 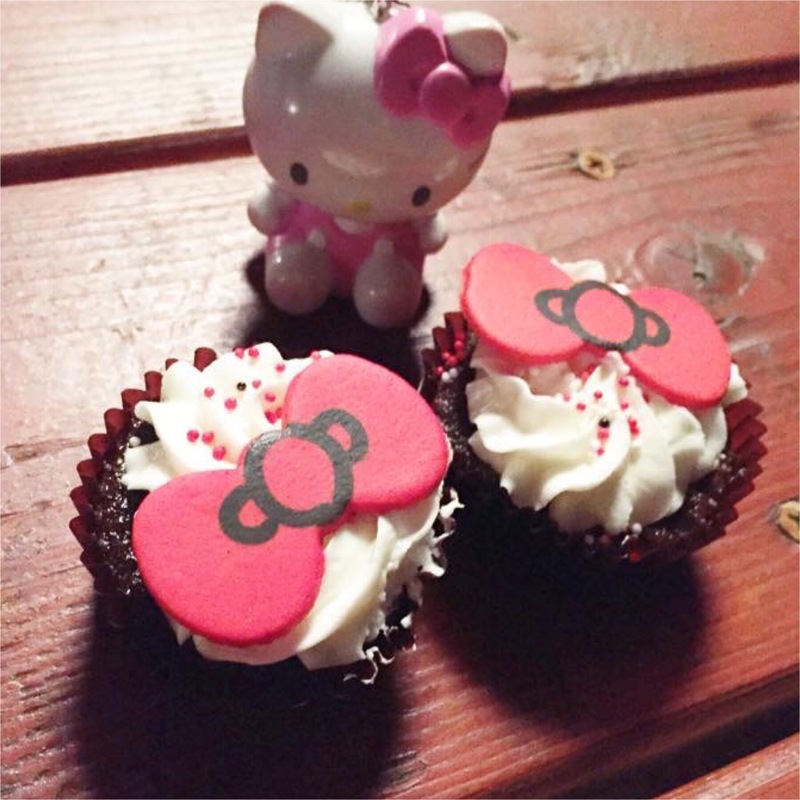 Hello Kitty of course was present in all the food and drink offerings of the night! 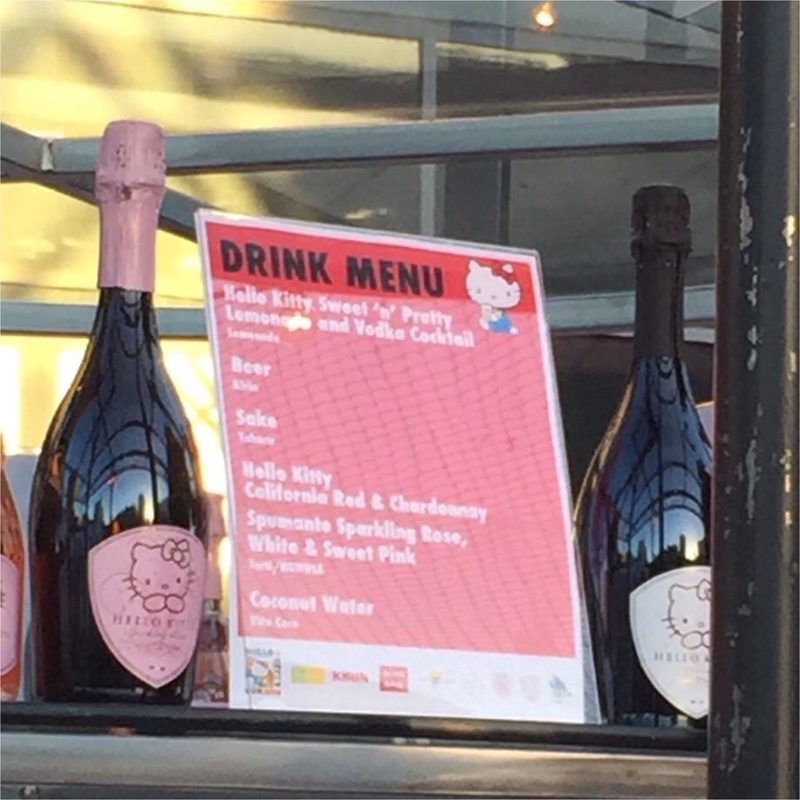 For the VIP opening night party, Sanrio prepared an open bar for all the guests that included Hello Kitty California red and chardonnay, sparkling rose, white and pink. Aside from the open bar, guests were treated to various appetizers such as this tasty mini reuben sandwich! 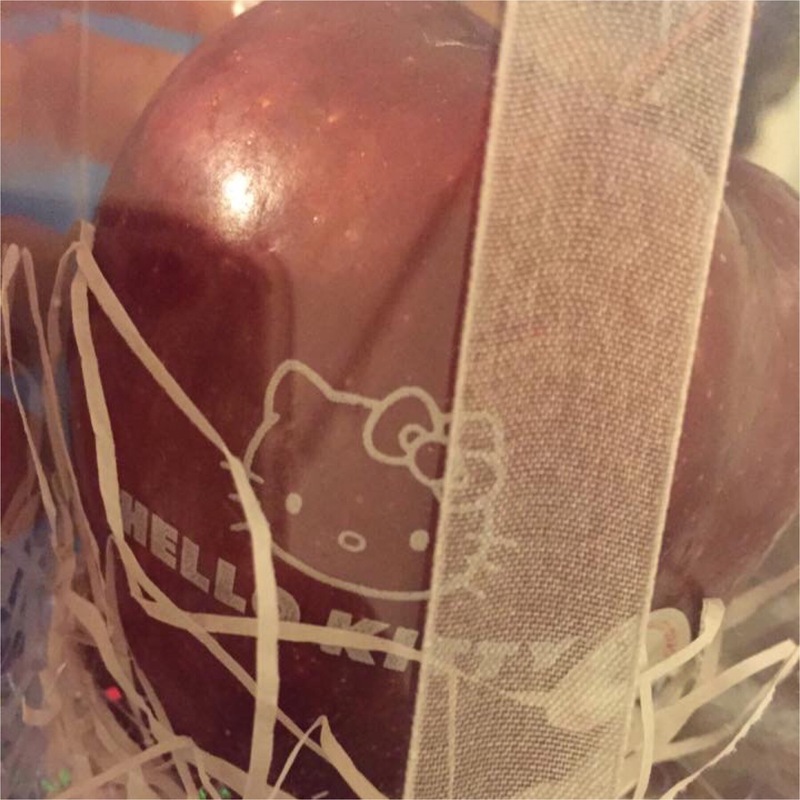 All of their treats had a little touch of Hello Kitty! 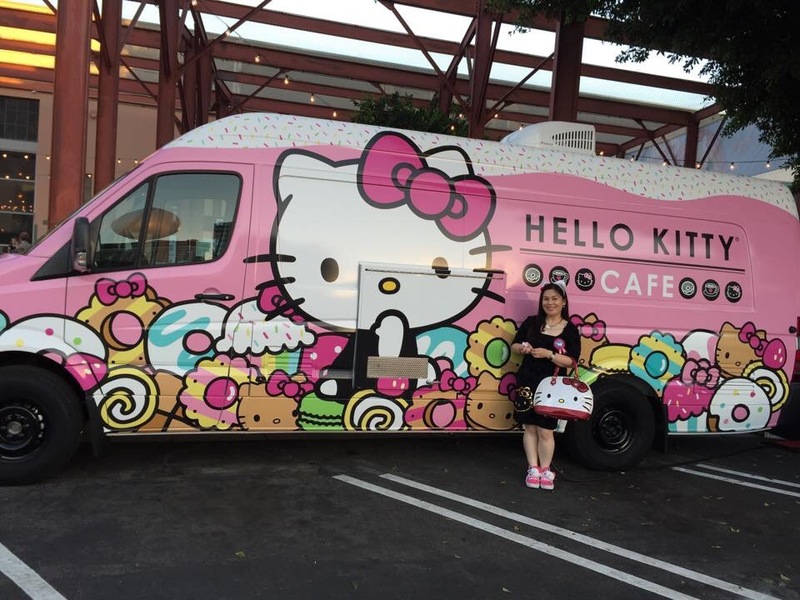 I got to try the hello kitty macarons from the Hello Kitty Cafe Truck! 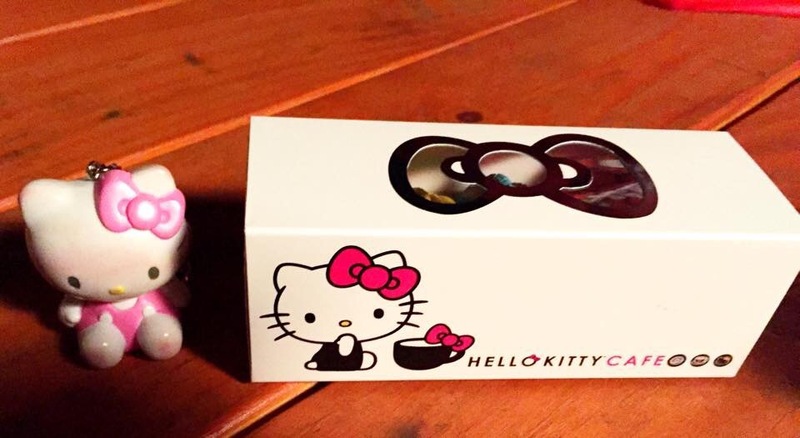 A set of five macarons came inside the cutest Hello Kitty box with a bow. 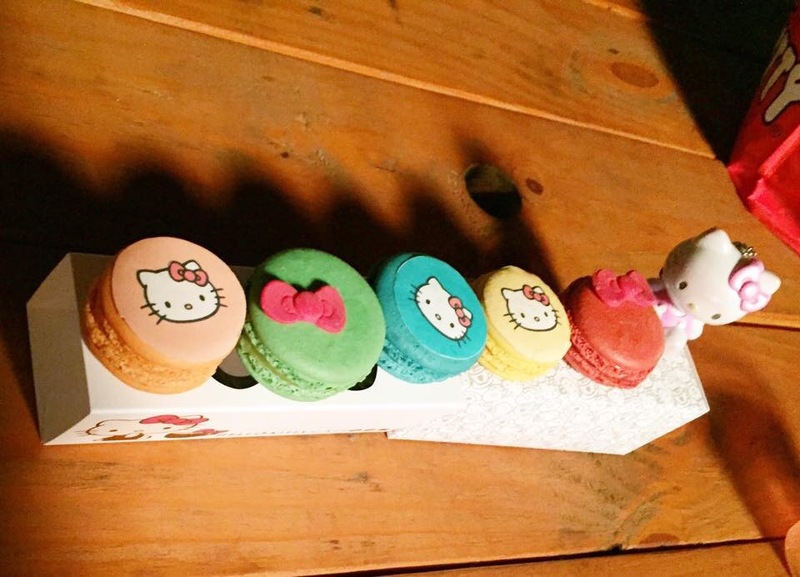 I loved how the macarons were kittyfied ;). I loved the little Hello Kitty faces and red bows on top of the macarons! The macarons were light and lovely! It was the perfect cute little almond meringue! Aside from the macarons, I got to try some of their mini cakes! They were equally adorable with little red Hello Kitty bows! Tastewise, they were sweet and delightful. They had a white chocolate coating on the outside and a moist cake in the inside. There were also free cupcakes for the VIP guests! 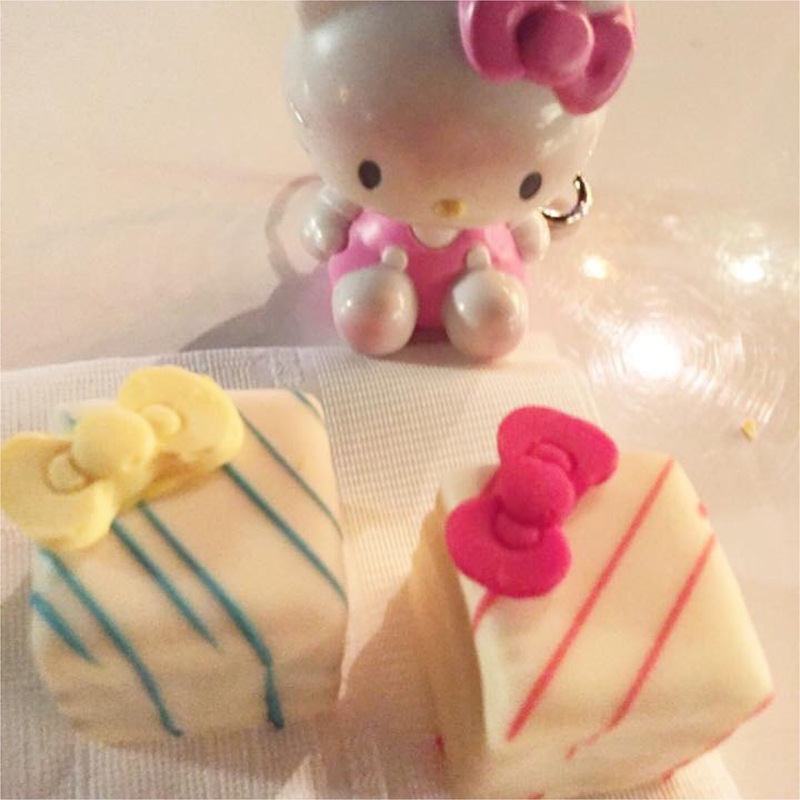 These treats also had a Hello Kitty touch with the Hello Kitty red bow on top! The cupcakes had rich chocolate base! 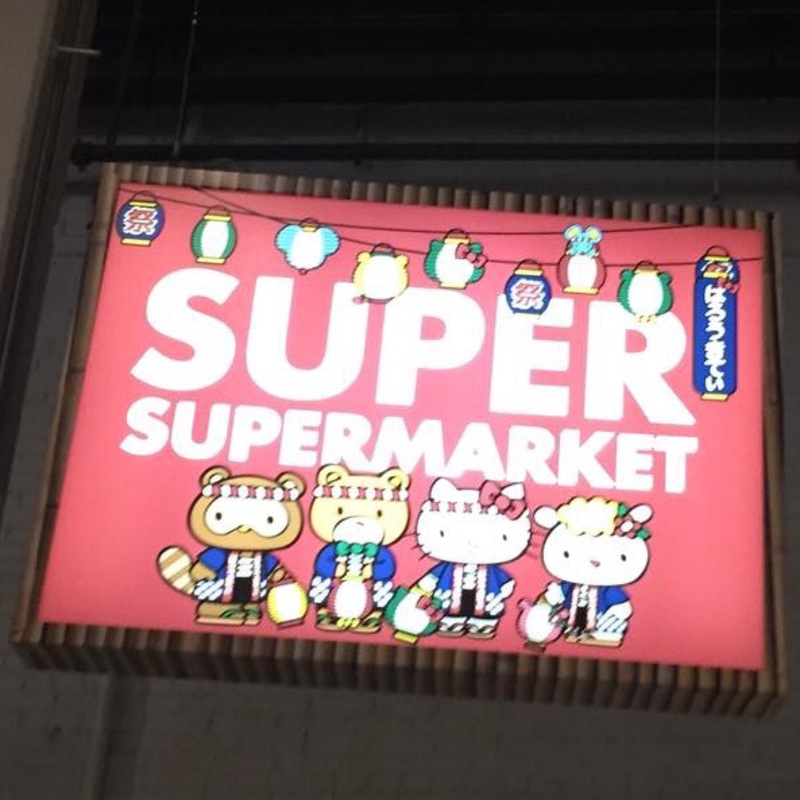 More foodie treats were to be found inside in the Hello Kitty Con Super SuperMarket! Similar to a Japanese market place, there were several booths offering all kinds of treats! 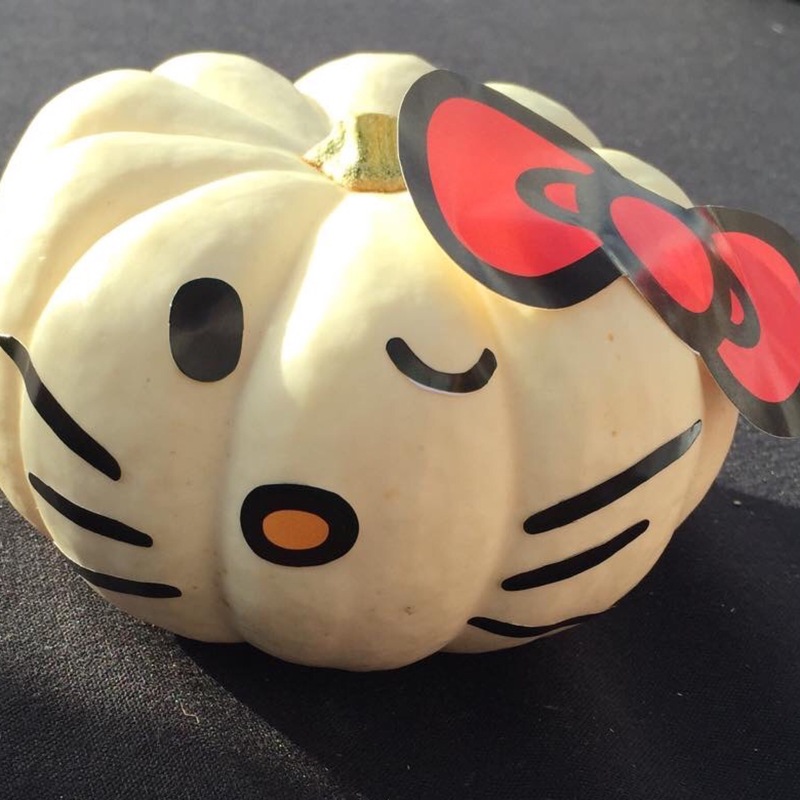 Melissa’s Produce were also the folks who gave out free Hello Kitty pumpkins for Halloween! Also in our goodie bag was some treats from Dylan’s Candy Bar! 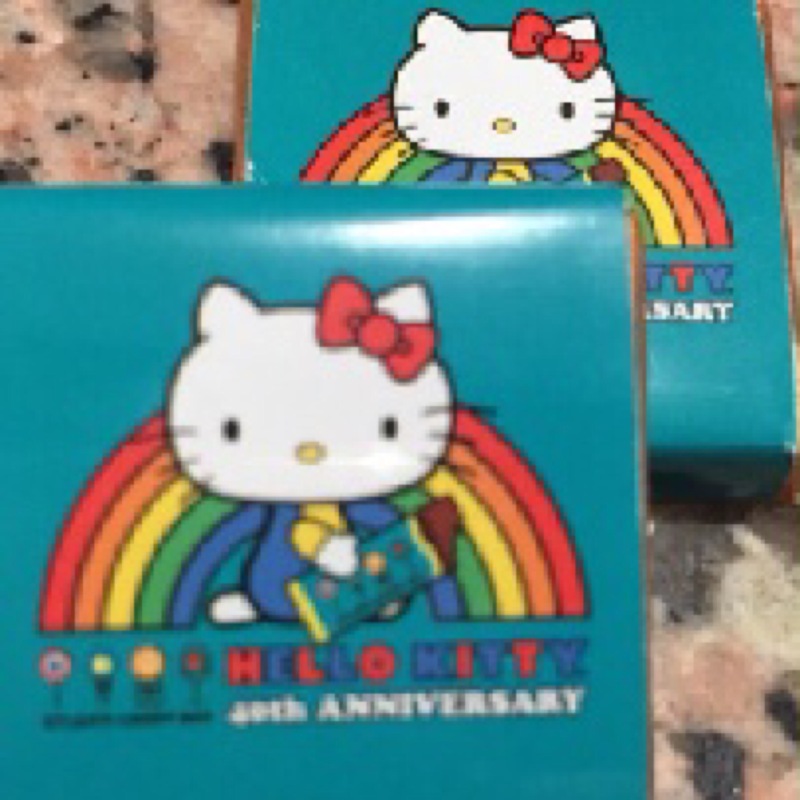 I love the milk chocolate squares decorated in Hello Kitty galore that Dylan’s gave. 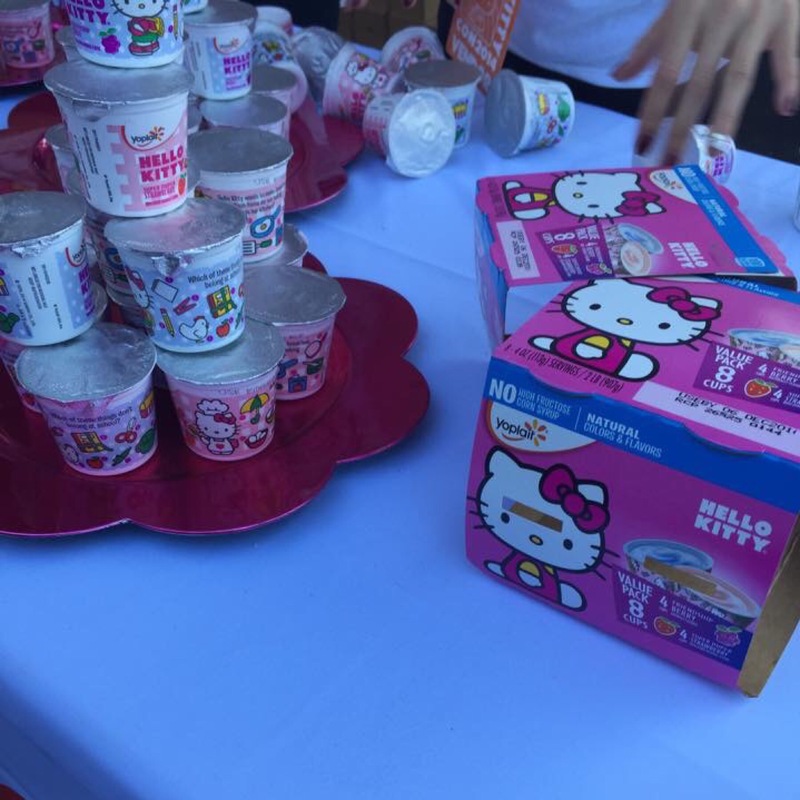 The foodie treats continued on beyond the VIP night because on the official Hello Kitty opening day, Yoplait gave out Hello Kitty yogurt to guests! 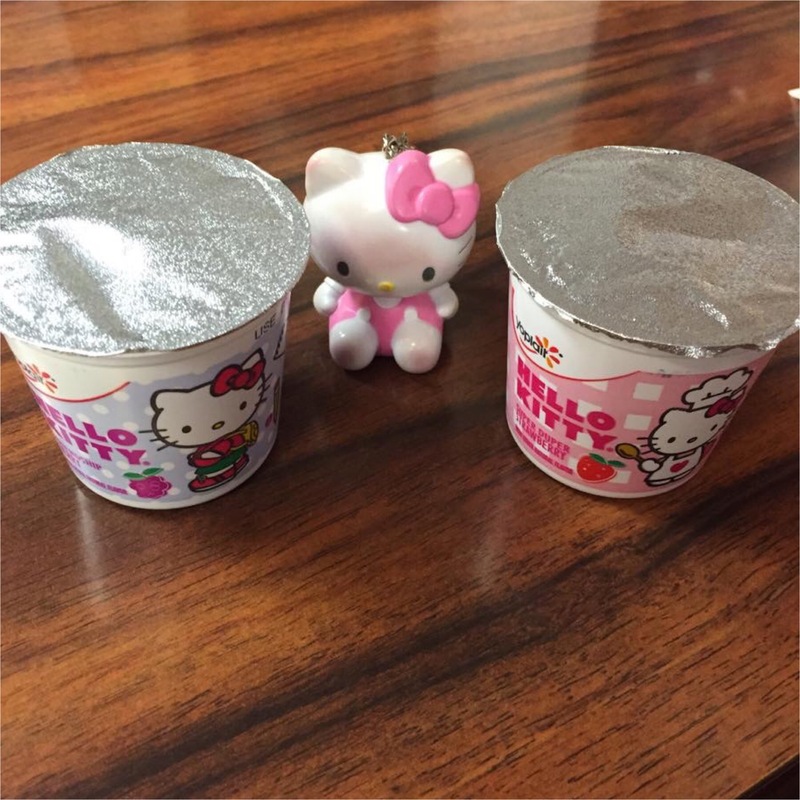 Yoplait handed out two Hello Kitty flavors that are from their Hello Kitty line! The first flavor is the Friendship Berry! The second flavor is the Super Duper Strawberry! 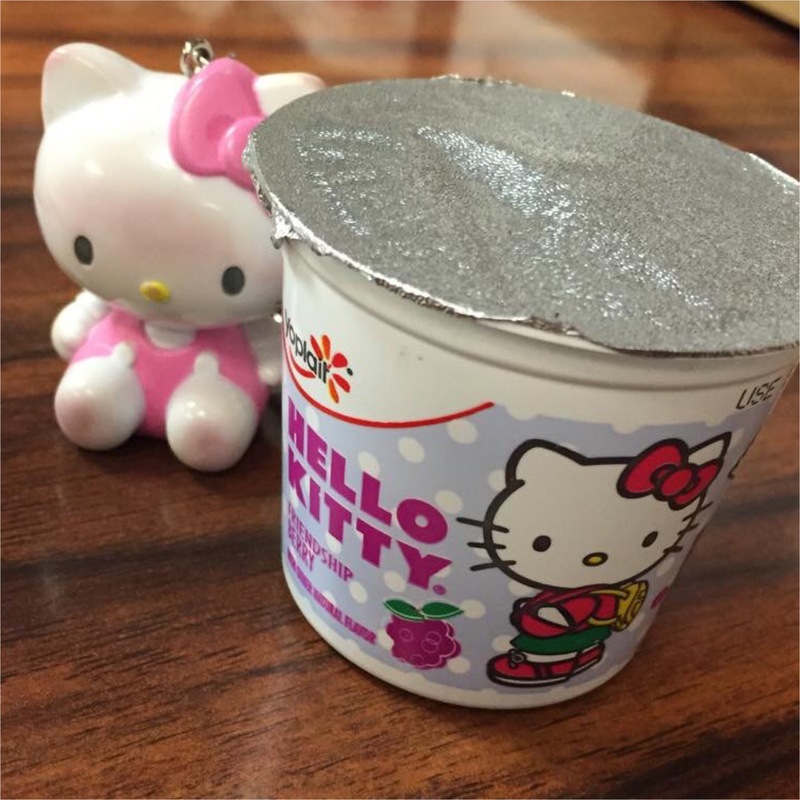 Who would’ve thought yogurt could be kittyfied too? 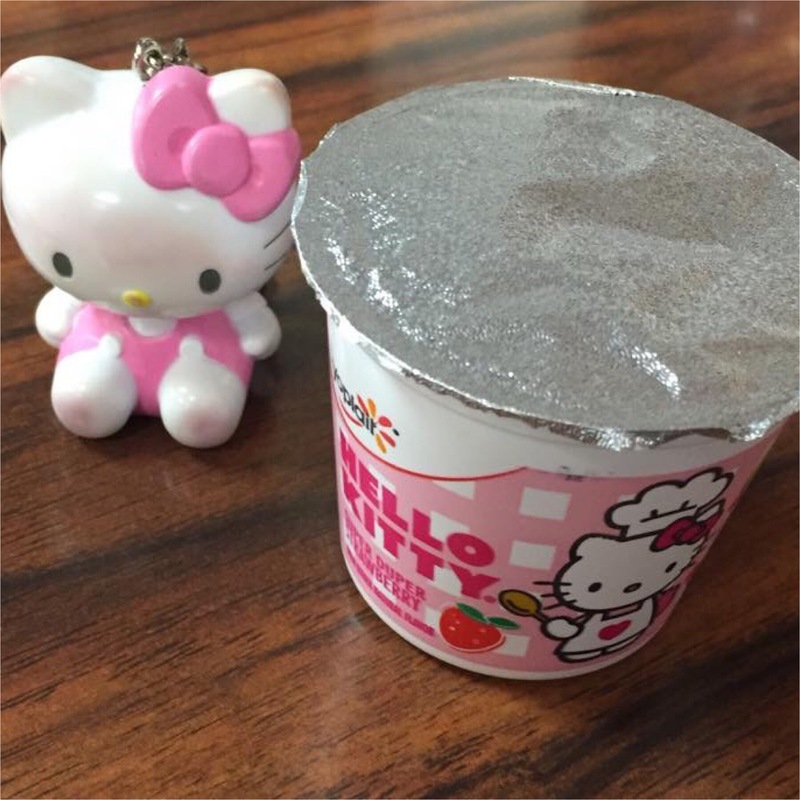 The packaging is adorable and the yogurt is delicious! 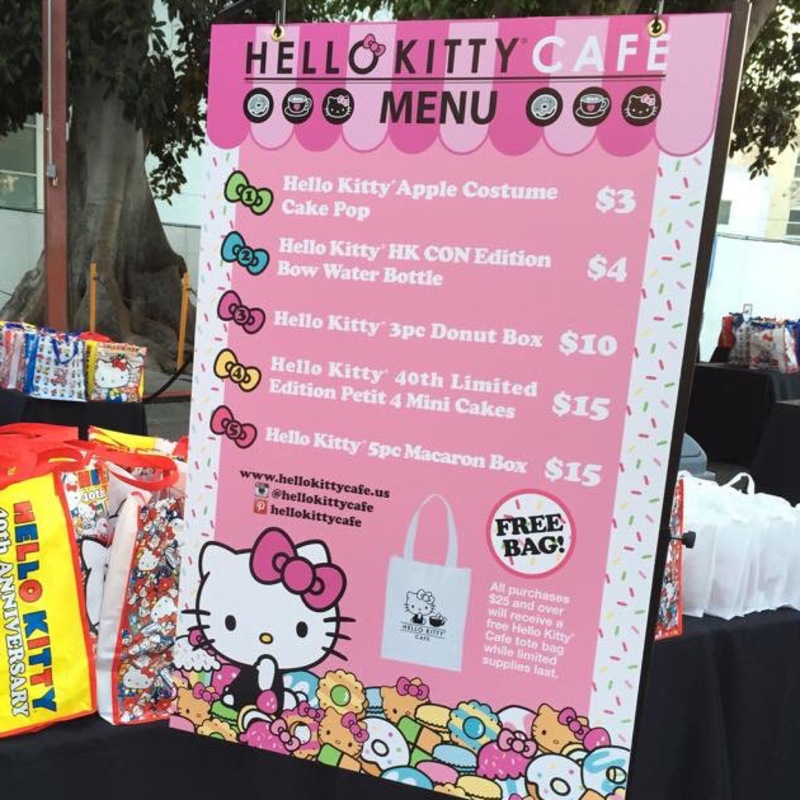 I simply loved how everything was Hello Kitty here at Hello Kitty Con including all the food offerings! 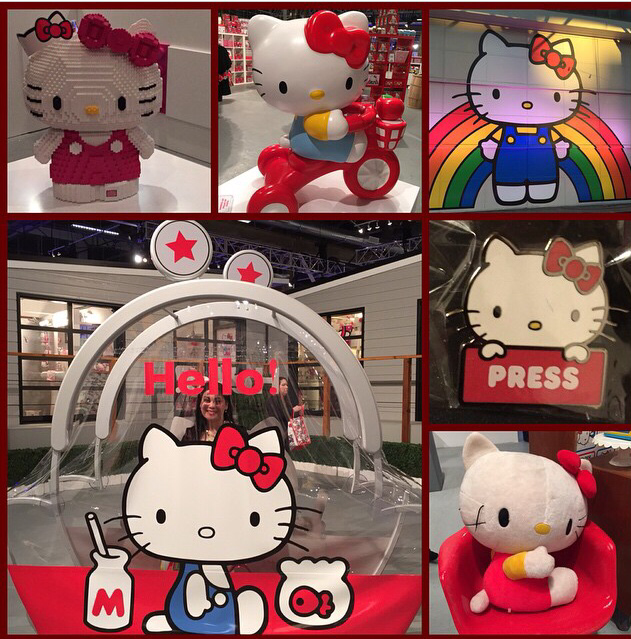 I was truly in Hello Kitty heaven! 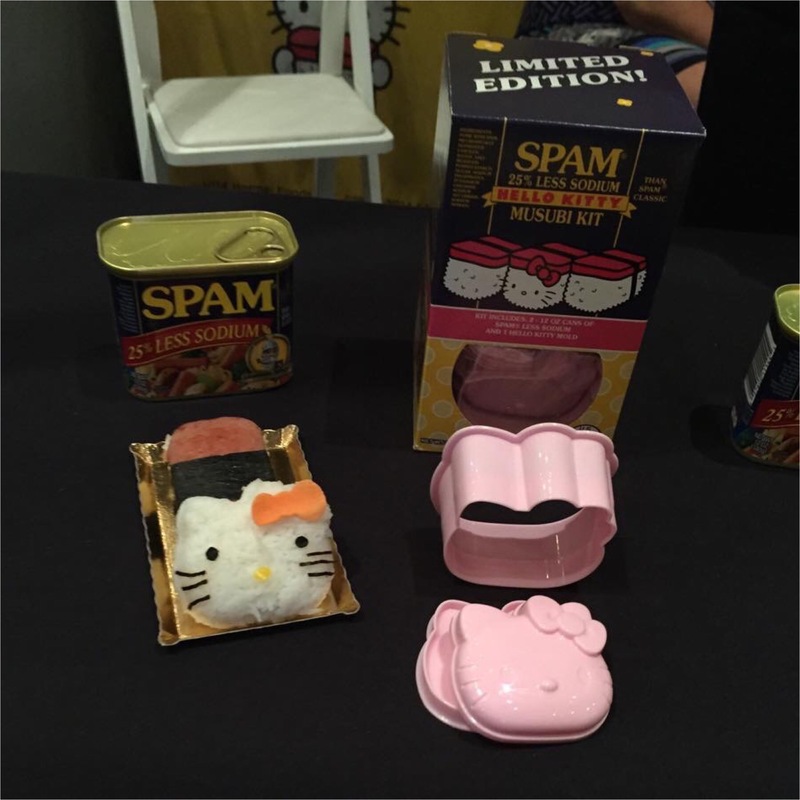 Hello Kitty Con for me was one of the best and happiest events for me! 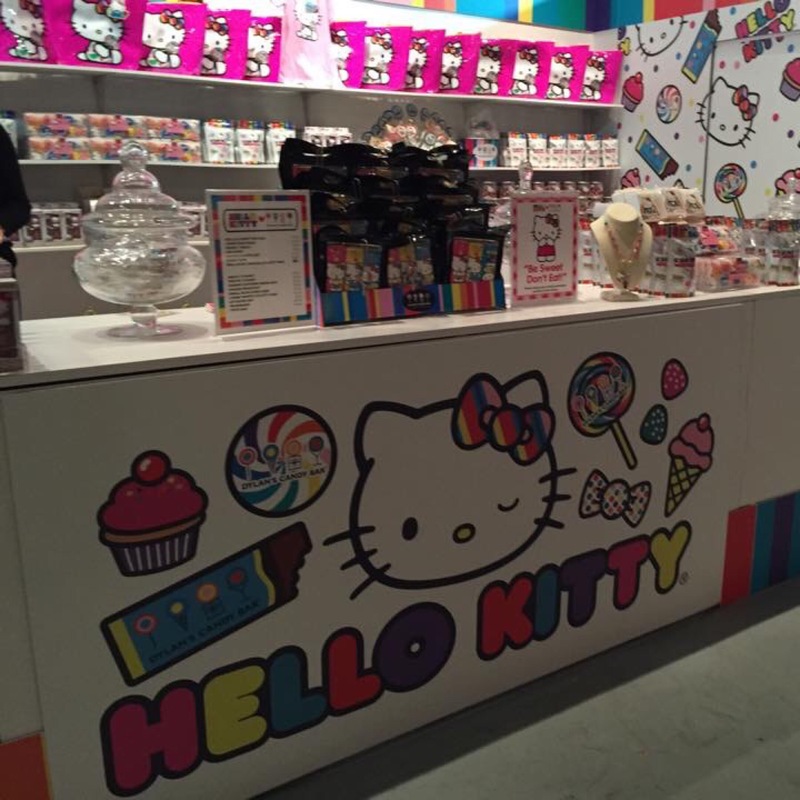 It’s was a dream come true for any Hello Kitty fan! 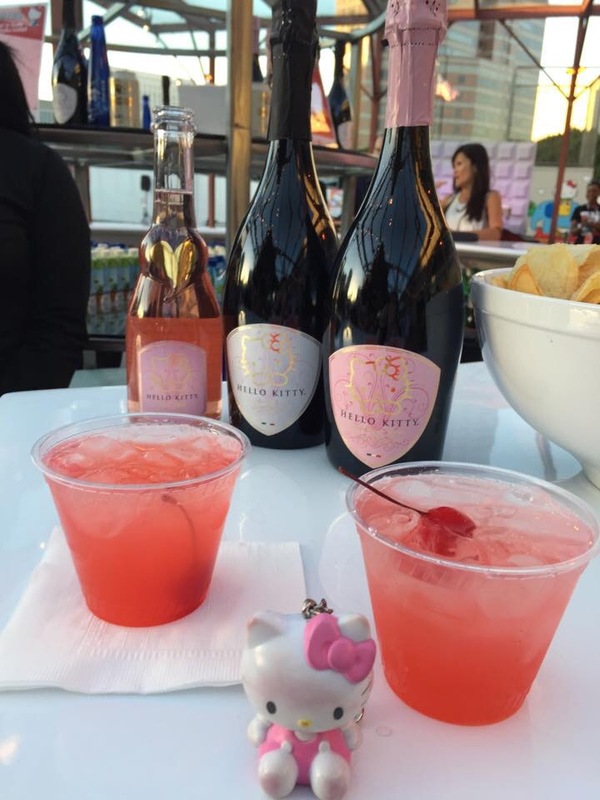 It was a celebration of all things Hello Kitty and I was all smiles every moment! 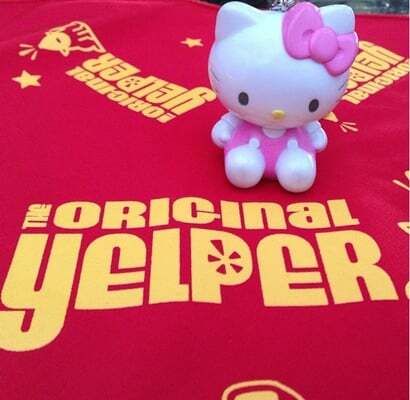 For more smiles, please see my recent Yelp review on Hello Kitty Con!